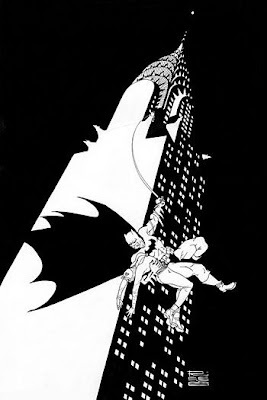 Few artists hook you with a single shot, but Argentinean illustrator, Eduardo Risso is just such a guy. From the moment I picked up 100 Bullets #1 anything he touched was locked and loaded into my pull list. Here was a guy whose layouts were different, his pulp-stylised panels weren't over crowded with detail, but rather had just enough to tell the story, and best of all he knew what he was doing when he played with positive and negative space - and boy did it show. 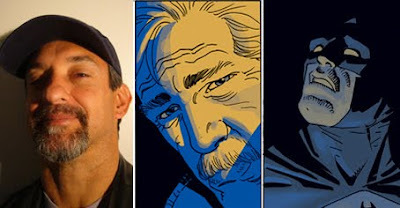 While his career began in 1981, the now 'DC exclusive' artist's best work isn't in his Eisner award-winning run on 100 Bullets or his recent stretch on the Batman strip within Wednesday Comics, it is in the pages of Tangled Web #4. 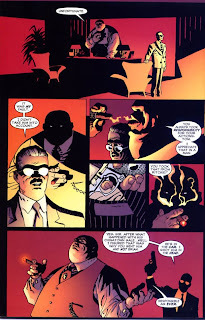 A sidebar Spider-Man title, where for one 'Spidey-free' issue only, Risso illustrated a Greg Rucka penned tale, of what it means to work for the Kingpin when Spider-Man causes you to fail him. Trust me, if you find it in a back-issue bin pick it up - it's killer stuff. While I'd love to see Risso tackle Marvel's Iron Fist or work on more 'super-powered' fare, like the Martian Manhunter, with Vertigo increasing it's crime-based output in 2010, I'm sure there will be no shortage of projects bearing his name. For more of Eduardo's work visit his official art gallery.